Original Supplier of CWLOA Game Day Gear! Orders may still be placed for CWLOA gear. with limited sizes and availability on game day shirts. As noted below, all CWLOA custom orders are not returnable, nor exchangeable, for any reason other than manufacturers defect. 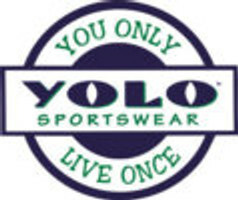 YOLO Official has worked diligently over the years to offer a quality line of apparel to CWLOA members. CWLOA Game Day Shirts are custom made to orders placed in a specific order period, they are not a stock item. CWLOA items may not be returned or exchanged for any reason other than manufacturers defect! Use of a CWLOA patch (or any patch) on any of our products may cause irreparable damage. YOLO Official will not guarantee nor be responsible for any damage caused with the application and/or removal of the CWLOA patch. Please note that ALL officials sales are subject to PA Sales tax for orders placed in Pennsylvania.